After a development period of eleven years, the first Marder AIFVs were handed over to the German Army on 7 May 1971. 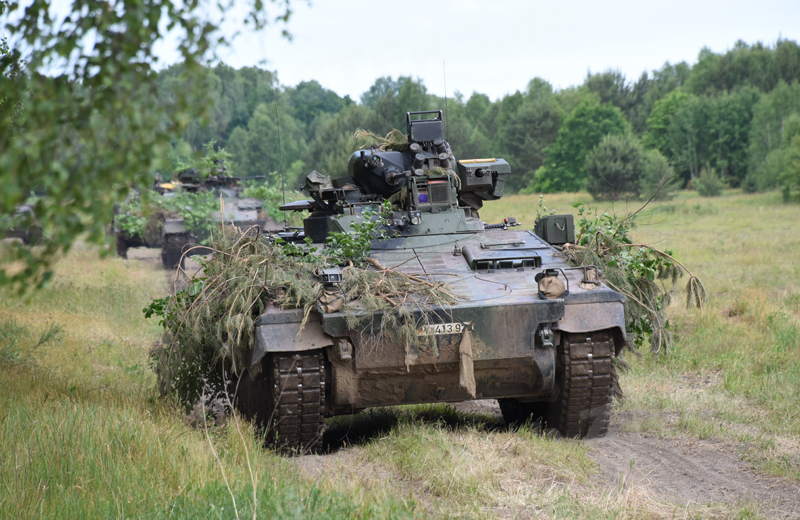 The Bundeswehr procured a total of 2,136 vehicles. 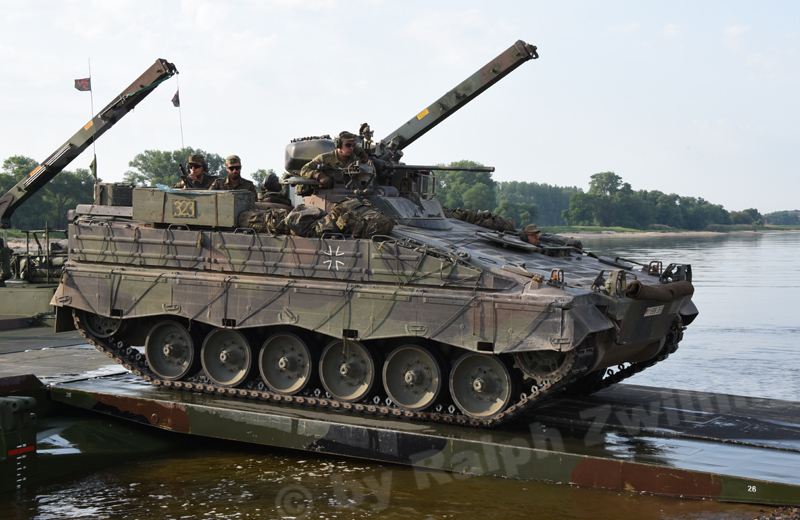 In order to adapt the already ageing Marder 1A2 armoured infantry fighting vehicle to the threat level, some 2,097 vehicles were modified to 1A3 configuration from 1989 up till the end of 2000. As part of the modification, vehicles were fitted with spaced add-on armour that increased the combat weight to 33.5 tonnes. The observer’s hatch in the front of the upper hull behind the driver was removed and the roof of the rear fighting compartment received three new hatches. Storage boxes for personal equipment and the onboard toolkit were installed on the sides of the upper hull, which resulted in the removal of the firing ports and their openings being welded shut. Also, the turret with gun carriage and thermal-imaging system received addon armour. The 20mm automatic cannon remained but the coaxial 7.62mm x 51 MG3, along with its ammunition supply, was moved to the left side of the turret. The rear fighting compartment was fitted with a new hot-water heating system, and parts of the interior as well as turret ergonomics were improved. The entire upgrade kit for each AIFV included more than 5,000 parts. Between 1998 and 2000, a total of 27 Marder 1A3 AIFVs were converted into Marder 1A4 Command Post Vehicles for battalion commanders. 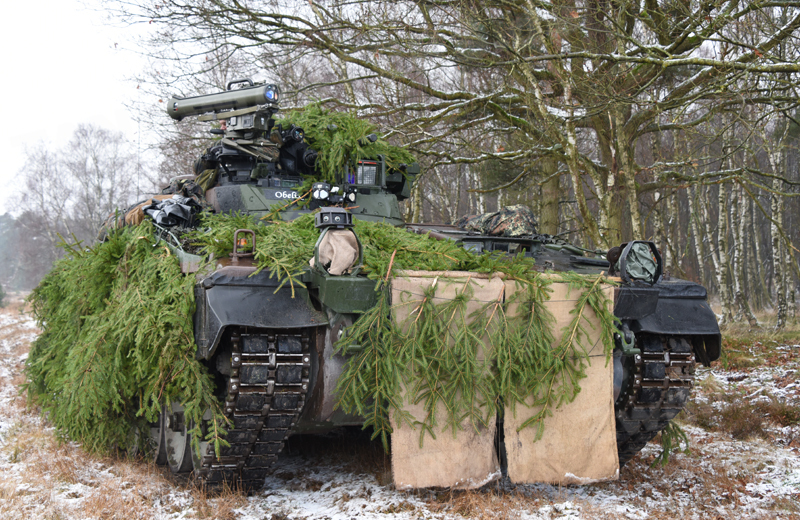 Today 14 of these vehicles are still in the Bundeswehr inventory. These vehicles featured an improved communications system incorporating the SEM 93 VHF radio with integrated cryptographic technology. 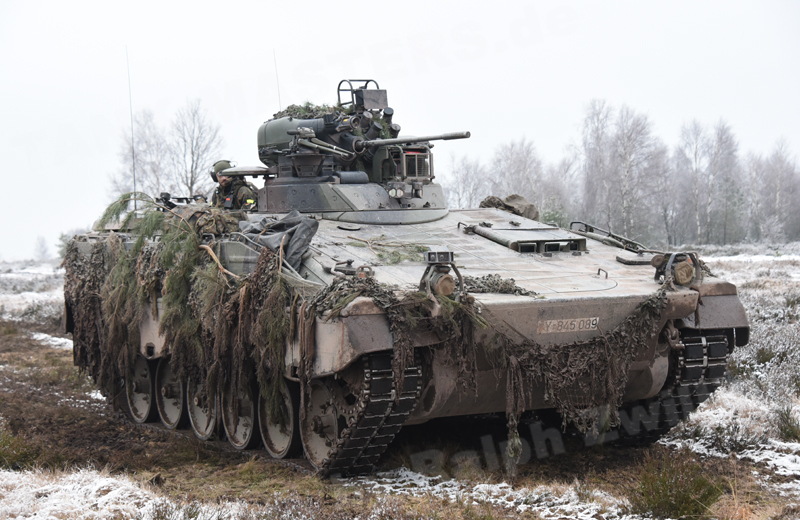 Until today, more than 47 years after its rollout and even though the Puma AIFV is currently being fielded, the Marder AIFV is still the backbone. The main armament consists of the MK 20mm Rh 202 automatic cannon, the coaxial 7.62mm x 51 MG3 Maschine Gun and the 76mm smoke grenade discharger system with six launchers.